Your payment will be securely processed via Seoshop Payments. 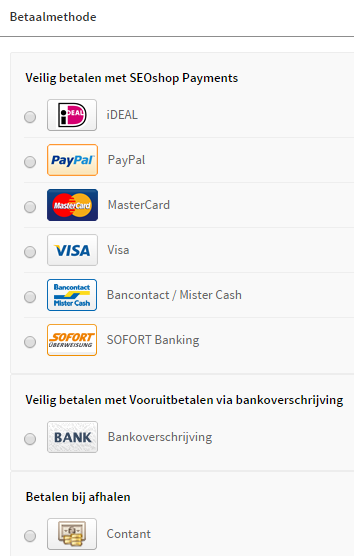 Payments appear on your bank statement under the name of "Stichting Mollie Payments", the Internet Payment Provider for Seoshop Payments. You thus know that your payment to Alcetsound Vogelwering has been processed securely and correctly and that your order has been accepted for processing. In addition, you can of course choose Prepayment via bank transfer. As soon as we receive your payment, we will send your order directly.